The gospel music group “Singing Praises” returns to the stage at Rose Ave. Community Center today at 7 p.m. Featuring great live southern gospel music with a country flair, their ministry mission is to share God’s love and His message through song and to see souls saved for the kingdom! 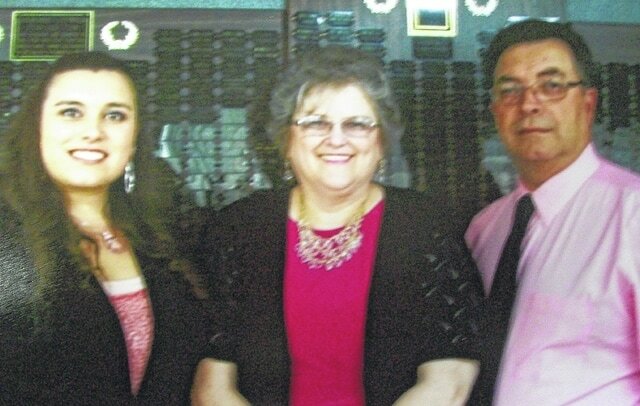 From the Chillicothe area, the group consists of Donna Wood, Jamie Lemaster and Corvin “Corky” Corn, as well as other family and friends, and they have been singing God’s praises most of their lives. Playing together as a group since 2012, with Jamie joining the group in 2014, they keep a busy schedule performing at area churches, revivals, community centers and other venues from Columbus to Kingston. Featuring favorite traditional and original songs, testimonies and praises, they bring a blessed anointing of the Holy Spirit with a southern-country flair, and even a little bluegrass mixed in to get your toes tappin’ and your hands clappin’! The Singing Praises enjoy our community and the people who attend Rose Ave. so much they have booked the last Friday of every month for the year at RACC! If your church or event would like to book this Spirit-filled ministry, please contact Donna Wood at 740-497-8336 or email at wdonnar58@yahoo.com. Gospel Music Family Friday is offered every Friday as an outreach of Rose Ave. Community Center and Church, located at 412 Rose Ave. in Washington C.H., all for the glory of God. As always, admission is free, doors open at 6:30 p.m., and free food and drinks are provided. Free shuttle service “in-town” is available. For transportation please call the office at 636-ROSE (7673) before 5 p.m. Fridays. Regular office hours are Monday – Friday, 2-5 p.m. Gospel Music Family Fridays is an outreach of the Rose Ave. Community Center & Church, all for the glory of God. A free-will love offering will be accepted. Join us every Saturday at 5 p.m. for a free community meal and contemporary worship service in a relaxed, come-as-you-are atmosphere. Featuring an upbeat and relevant, Bible-based message from Pastor Justin, doors open at 4:30 p.m. Free transportation is also available for this event by calling the office before 3 p.m. Saturdays.